It’s been a while since I’ve posted. Sorry, any of those who are following the minutiae of my life! Things have been very busy of late, and they’re only going to get busier very soon. Back in February, we took a trip out to Phoenix, Arizona. We went for a couple of reasons: first, all of my immediate family has migrated there from Seattle, so we were able to visit my parents, as well as my brother and his family. 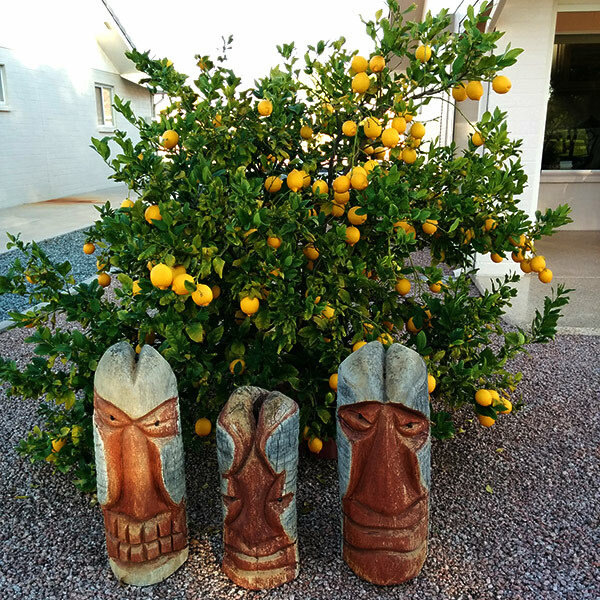 My parents have a thriving lemon tree in their backyard, with a few friends keeping it company. The bulk of the landscaping is pale gravel, which I really dig. Lawns are not my thing. The other reason we went there was to scope the place out. We’ve been here in Florida for over 8 years now, and it still doesn’t feel like home. We have no urge whatsoever to buy a house here and settle down. As soon as we went back west, where the time zones run later and the TV stations all start with the letter K, it felt right again. We went into a Safeway grocery store, and I almost cried with joy. We’ve started into doing things here for the last time. Scott’s brother came out to visit this month, so we went on our last trip to the Universal parks. I went as ready as I thought I could be. They always make you put your purse in a locker, so I wore shorts with deep pockets, put my phone, wallet and keys in those, and even brought safety pins to pin my pockets closed to keep my stuff safe. And YET! 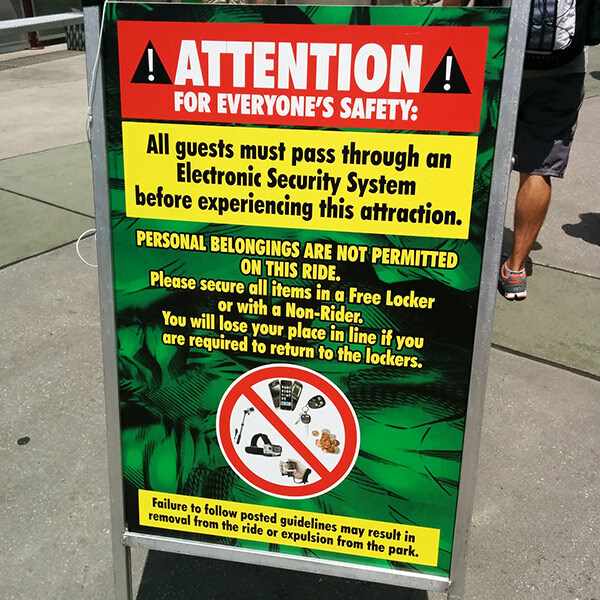 Now on a few rides, Universal doesn’t allow you to take any of that stuff on the rides — you have to go through metal detectors, and if you’re carrying any personal belongings, you STILL have to go put them in a locker. Ouch. 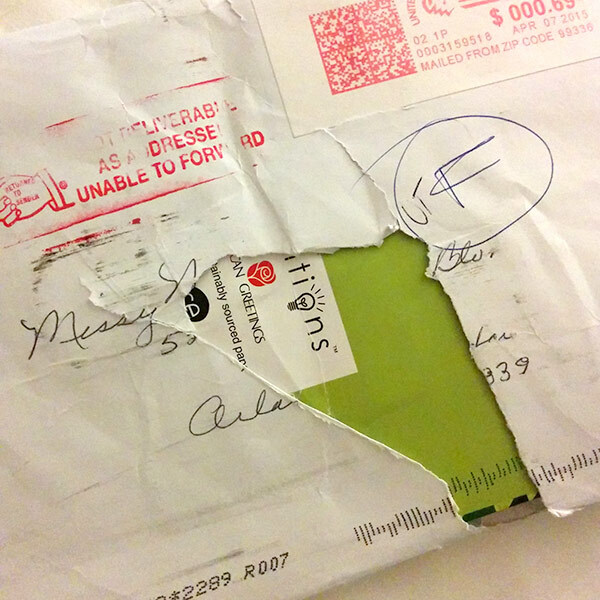 The machine did a near-perfect job of tearing off the name and address, while leaving the envelope sealed. It’s impressive, in a way. Though it looks like someone gave it an F grade. After Universal, we went to the Magic Kingdom with brother-in-law. Everything there was much more my speed. One nice thing about both Universal and Disney is that they have some decent gluten-free options in the restaurants. At Universal, many of their burgers can be put on a gluten-free bun (they still haven’t quite perfected the texture, but they do the job of holding the fillings in just fine). 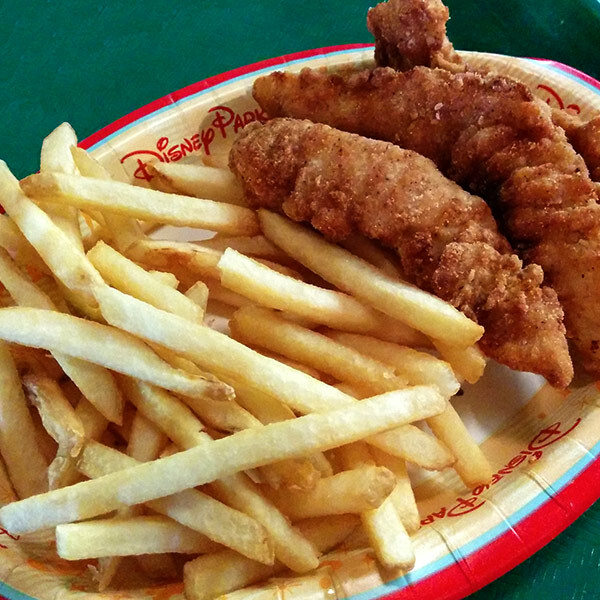 At Disney, I got the GF chicken strips, which are not only good, but I think they’re better than the regular ones. Let’s see, what else is going on? I’m currently working on the 4th draft of my next book (beta reader feedback is coming in these days, and I’m making edits based on their comments/suggestions/critiques). 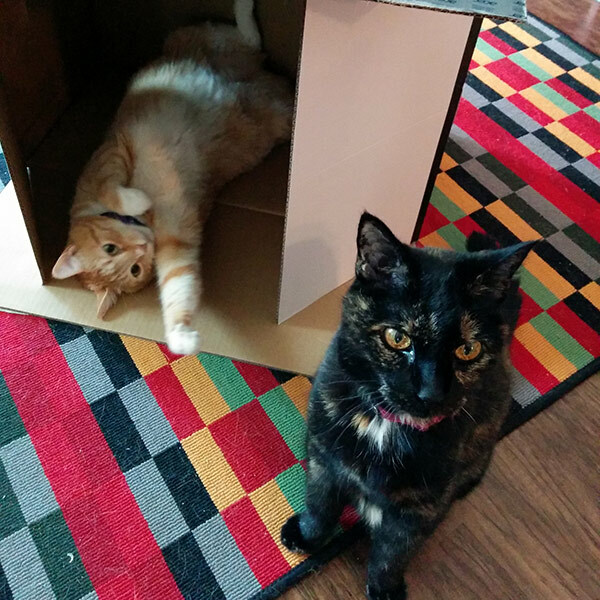 We have a large cardboard box in our living room, because Cheddar just adores it. Sometimes she’s inside it, but most of the time she lays on top of it. Trouble isn’t as thrilled with the box, but then again, she’s a crotchety old 17-year-old. She’s seen it all, man. 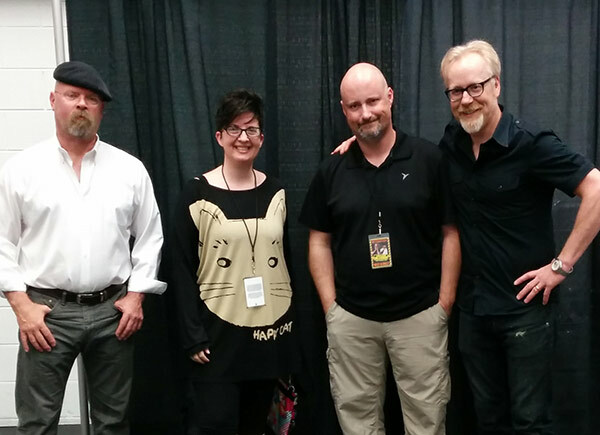 Oh, and we had a great celebrity encounter recently, when our friends Jen and John from Cake Wrecks took us along to see the Mythbusters Live show, where we also got a backstage meet-and-greet with Jamie and Adam. The show was a fascinating thing: a weird hybrid of comedy, science demonstrations, Q&As, and more. So that’s what’s going on these days! If you’re wondering what I’ll be doing for a job, after we move I’ll be taking a few months to do a few things: I’m going to put myself through an online certificate program for graphic design, since my knowledge is mostly self-taught and mostly at least 5 years old at this point. I’m going to get Scott’s social media sites whipped into shape (we could do so much more with his Facebook and Twitter accounts). 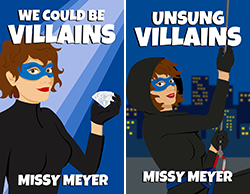 And by that point, my 2nd book should be out, and I’ll be able to start on my 3rd. Which I believe will be in a different universe completely. « I really enjoy drawing weird things. Is there any chance you’d be willing to share the name of the online certificate program you are going to be taking? 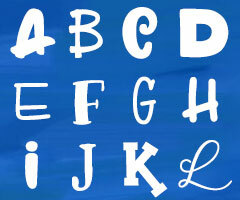 I’ve been looking for something like that for a while, but I’m having trouble figuring out which ones are worthwhile. Thanks! I will, as soon as I decide which program to do. Right now, the frontrunner is The Graphic Design School (out of Australia), but there are a couple others I’m considering. Hmm, I should do a post about them, and see if anyone has any reviews or recommendations. I meant to reply to this a while ago, but I guess I never did, sorry! I’ll get around to it … probably in August. My day job goes through July, and it’s busy as heck there, what with training people to do all of the various whatnot. Once that’s done, I’ll have more free time to study up on the choices and narrow it down to the program I want to do.